Before President Trump officially recognized Jerusalem as Israel's capital and announced the U.S. Embassy in Israel would be moving there, pastor and New York Times best-selling author John Hagee joined CBN News' Faith Nation program today for analysis on the Jewish State. He discussed why Israel is important to Christians, as well as what's behind the Trump administration's support of the Holy Land. Hagee is the founder and chairman of Christians United for Israel. "What President Trump is doing is one of the most courageous political things that's been done in Washington in a long time," Hagee, who is also the senior pastor of Cornerstone Church in San Antonio, Texas, told CBN News. "Many presidents have promised to move the embassy and declare Jerusalem as the eternal capital, but they have promised without performing," he continued. "President Trump, when I spoke to him in the White House about this several weeks ago, he said this very emphatically. He said, 'Other presidents have failed you, but I will not disappoint the Christian community in this issue. I will stand with Israel, and we will at some point in time, move the embassy,'" said Hagee. He also talked with the president about the significance of moving the embassy in this "Jubilee Year." "... I told him that God measures everything in modules of 50 years," Hagee explained to CBN News. "And I said, this is a principle that's carried out in Leviticus, the 25th chapter." "I said, 'If you look at 1917, it was a Jubilee Year, and the Balfour Amendment came, and then in 50 years, it was 1967, and Jerusalem was reconnected to Israel,'" he continued. "'And you add 50 to 1967, and you're in 2017.' I said, 'This is the year to move the embassy and make that declaration because it is a biblical timing of absolute precision,'" Hagee said. "Thank God, he's going to do exactly that." Hagee also emphasized the significance of the Jewish state to God and why Christians need to acknowledge its global importance. 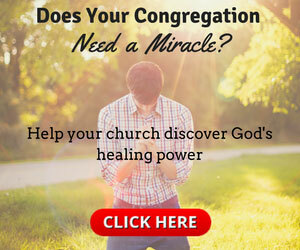 "...I believe at this point in time, Israel is God's stopwatch for everything that happens to every nation, including America, from now until the rapture of the church and beyond," he said. 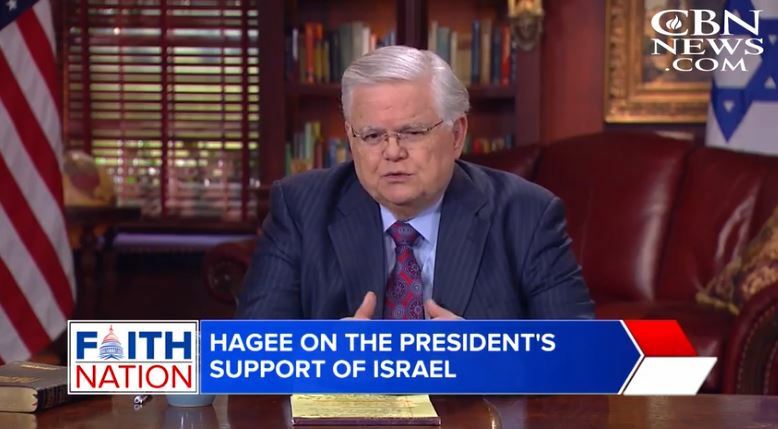 "Christians should care about Israel because the entirety of the Bible beginning at Genesis all the way to the end is God's position paper on the Jewish people," Hagee explained. "God found a man by the name of Abraham and He made a covenant with him," Hagee continued. "Abraham, Isaac and Jacob, recorded in the book of Genesis, that He was going to give them a strip of real estate in the Middle East, and that piece of real estate would be theirs forever." "Forever means today, tomorrow and forever," he said. "It has nothing to do with what the Palestinians think, what the Russians think, what the U.K. has the opinion of; it belongs to the Jewish people." "And Israel is the gateway to God's blessing in the Bible," Hagee continued. "Genesis 12: 'I will bless those who bless you.'" "World history can be summed up in one sentence. The nations that blessed Israel were blessed of God, and the nations that cursed Israel were cursed of God," he said.